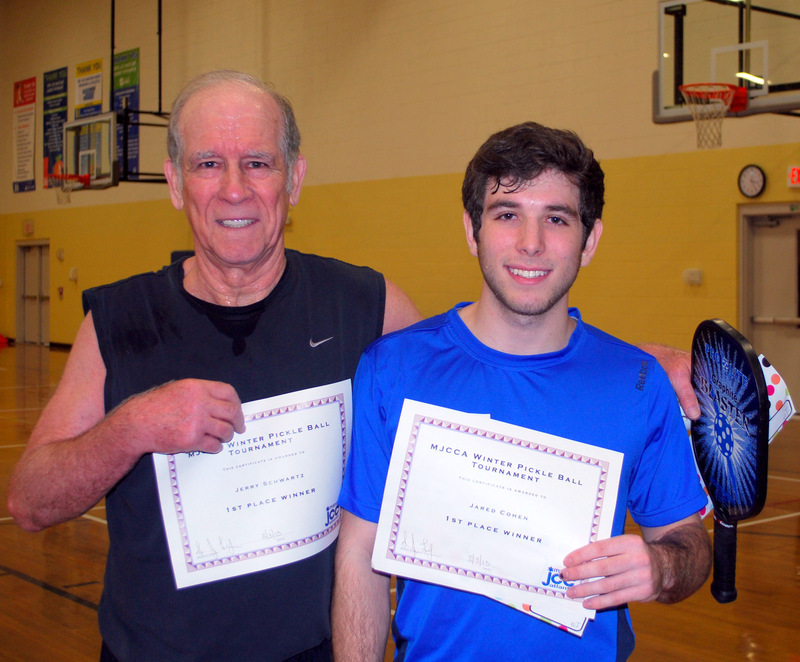 On Sunday, March 3, 2013, the Marcus Jewish Community Center of Atlanta (MJCCA) Mature Adults hosted their second Pickle Ball Tournament. This tournament hosted 42 players from all over Georgia – Chateau Elan, Lake Oconee, & Dunwoody ranging in age from 16 – 99. 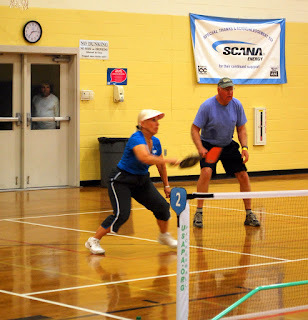 A great day of Pickleball was had by all. Grandfather Jerry Schwartz & Grandson Jared Cohen Take First Place. This team was made up of players from the MJCCA. Brenda Young & Fred Reese (below) take Second Place. This team was made up of players from Lake Oconee. For more information on Pickle Ball at the MJCCA please contact Lilly.Mahana@atlantajcc.org or 678-812-4064. The MJCCA plays on Tuesdays, Thursdays, Fridays and Saturdays from 10:30am-1:00pm September-May. Summer hours vary. Play is free for MJCCA and Silver Sneakers Members and $5 each time you play for Non Members. New players are always welcome. Tournament organizers are hard at work on a Tournament date for August. The August tournament date will be announced the week of 3/18 and early bird pricing will be available.